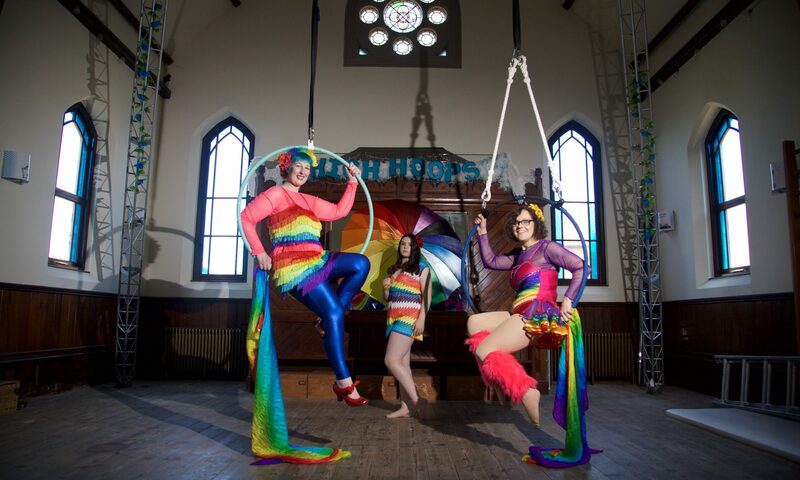 The High Hoops studio is available to hire on an hourly, daily or weekly basis for theatre rehearsal and act creation. We were delighted to welcome Shakespeare’s Rose Theatre to our studio for aerial dance training and rehearsal space for their fantastic production of A Midsummer Night’s Dream. 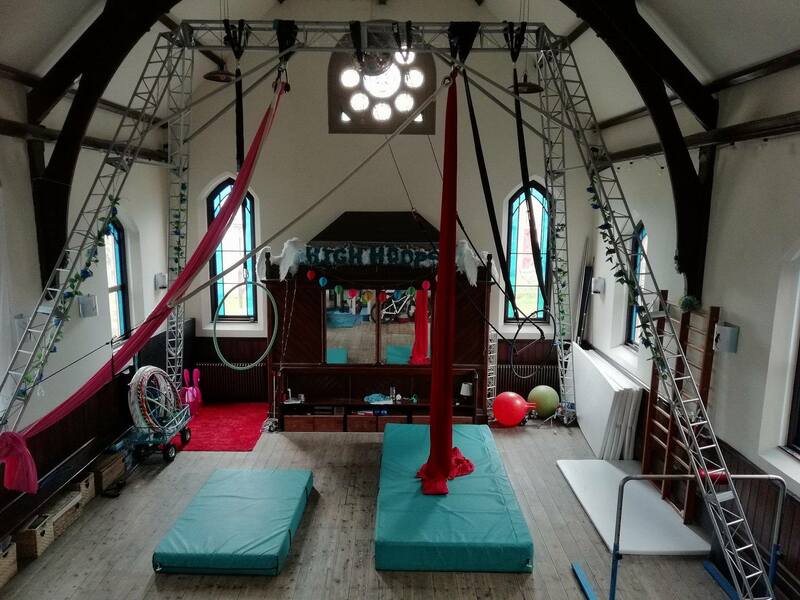 Our 6 metre high aerial rig can be rigged to your requirements with aerial silks, aerial hoop, static trapeze or static cloud. We can also rig for harness work or rig your equipment for you. We can provide training for your actors in aerial silks, aerial hoop, static trapeze or static cloud on a one to one basis or for a small group. Our studio is in a lovely, quiet village just south of York and is served by buses from York city centre and Selby railway station every 15 minutes. We are on the Route 66 cycle track and the A19 between York and Selby. Within walking distance we have a fish and chip shop, a local pub, an award winning thai restaurant, a gastro pub and a subway sandwiches at the local petrol station.